Equipped with QPSK or ASI interface, the TT1222 delivers broadcast quality video, ideal for regional cable headends. 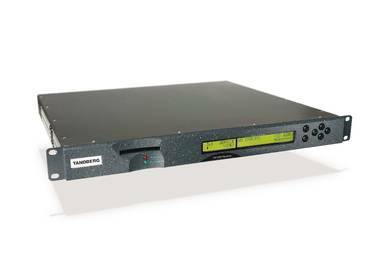 The receiver is capable of descrambling one service and delivering high quality video as composite or SDI. An ASI output is available, helping the migration from analog to digital networks. The TT1222 can be used as a satellite receiver or for the monitoring of content delivery. As the receiver supports a wide range of scrambling systems, it is well suited to operate in a large number of different satellite distribution systems. The TT1222 can be utilized in a Director network management control system that enables the operator to control demodulation and decoding parameters over-air. The TT1260 is an MPEG-2 SD 4:2:2 and 4:2:0 receiver, ideally suited for contribution over satellite and telco networks. It can receive satellite signals through a choice of DVB-S, DVB-DSNG and DVB-S2 demodulators. 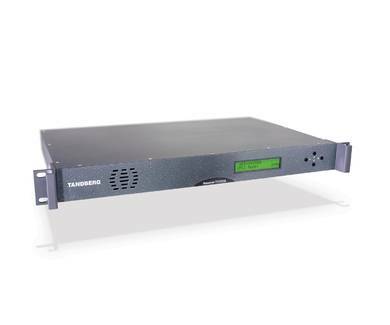 For contribution over telco networks, the TT1260 can be equipped with -48 VDC power supply and interfaces for direct connection to IP, G.703 ATM networks. The TT1260 can be equipped with a cost-effective, high performance COFDM demodulator, allowing direct reception of terrestrial signals. For reception of weak or varying signal conditions, the TT1260 can be enabled with diversity reception. The TT1260 is well suited for reception of DSNG transmissions with its easy set-up, integrated QPSK/DVB-S2 receiver, BISS and RAS descrambling. 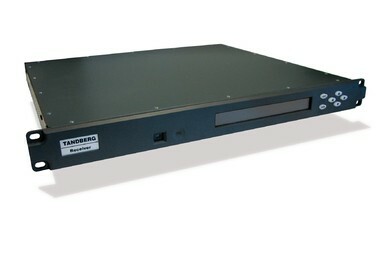 It has been designed to match the functionality of the E5740 DSNG encoder, creating an ideal end-to-end system solution. As the world’s first professional, true multi-format MPEG-2/MPEG-4 AVC decoder, the RX1290 is TANDBERG Television’s flagship professional receiver. Designed for contribution, distribution and mobile markets where premium quality and performance is paramount, the RX1290 is capable of processing and decoding more video formats than any other receiver on the market. The RX1290 comes as standard with an ASI interface and can be fitted with an integrated high performance DVB-S2 demodulator giving an additional potential 30% bandwidth saving. Being capable of HD and SD decoding in both MPEG-2 and MPEG-4 AVC formats, the RX1290 offers the ultimate receive device to help the migration from today’s standard definition broadcast environment to tomorrow’s high definition capable network. By being built on a powerful platform, the RX1290 will be able to grow with the needs for new features through software license key upgrades, protecting the financial investment. The RX8200 Advanced Modular Receiver has been designed to precisely meet these requirements. By allowing each individual RX8200 to be configured and tailored to the user’s precise needs the perfect balance of functionality and cost can be achieved, resulting in a unit with all the required features without the additional expense of superfluous connectivity or functionality. The RX8200 builds on the success and knowledge of previous generations of products to ensure an unrivalled level of quality and reliability. The RX8200 can be tailored to standard definition or high definition uses with MPEG-2 or MPEG-4 AVC decode technology whilst connectivity to the receiver is achieved with DVB-S2 satellite, IP and ASI options. Broadcasters and Programmers are continually looking to take advantage of technological advances that reduce their distribution costs. MPEG-4 AVC compression in conjunction with DVB-S2 satellite transmission is the perfect combination to achieve such transmission efficiency gains. However, cable TV systems are locked into MPEG-2 technology for the foreseeable future by the deployed set-top box population. The RX8250 HD Program Transcoder allows cable systems to continue MPEG-2 operation whilst allowing the Programmer to distribute using MPEG-4 AVC compression by offering high quality transcoding from MPEG-4 AVC to MPEG-2. 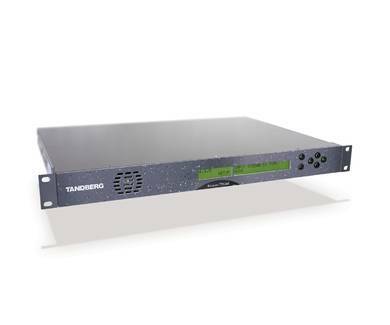 The RX8250, in combination with TANDBERG Television’s MPEG-4 AVC encoders and DVB-S2 PREKOR™ satellite modulators achieves a level of bandwidth efficiency that is unrivalled allowing more HD services per transponder compared with any competing solution. The RX8300 series is a range of professional receivers that are optimized for specific high volume applications. Each variant provides an RF demodulator combined with industry standard ASI transport stream input. Transport stream output on ASI, with option for transport stream over IP output, is provided for distribution to digital networks. The video decode capability of each variant is tailored to the requirements of that receivers particular target application. The RX8300 range are the perfect receive devices for distribution of video services throughout large networks. The units provide the most up-to-date feature-set, combining maximum transmission efficiency with easy remote management of the receiver population. Multi-service Decryptors RX8310/15 Distribution Receivers Designed for satellite based video distribution networks, the RX8310 and RX8315 offer an integrated satellite input with capability to demodulate highly efficient DVB-S2 transmissions. The RX8310 and RX8315 receivers are designed to decrypt a transport stream and output the decrypted channels over an industry standard ASI interface or optionally over an IP interface. The capability of the RX8310 and RX8315 can be further extended through the option for the receivers to decrypt multiple services within one unit. The receivers can be further licensed to decode one service and output analog SD video and audio allowing the RX8310 and RX8315 to simultaneously address both digital and legacy analog tiers. The RX8310 provides Director CA decryption while the RX8315 provides DVB Common Interface CA decryption.